Arty Dave, who is terribly dapper, hence the Aubrey Beardsley background. 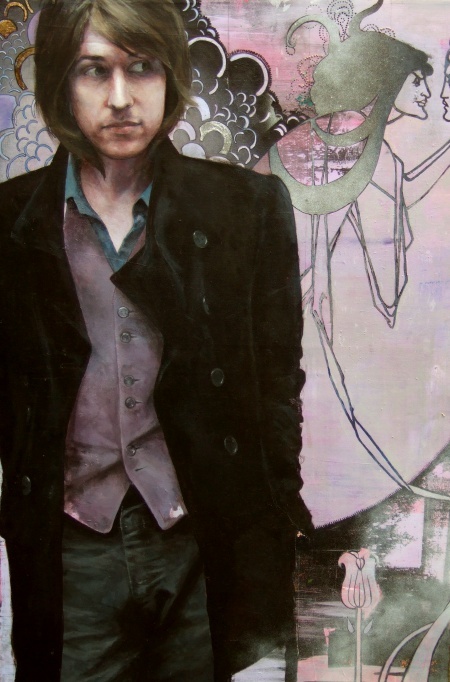 I also think he looks just like Bernard Butler (formerly of Suede and now of The Tears), but about a foot taller. Some nice metallic bits in this painting, amongst other things.